- Includes a natural source of glycosaminoglycans (Chondroitin 6 Sulfate) that are key nutrients required for cartilage production to aid joint care. - Measured capsule dose that’s easy to give to your pet. 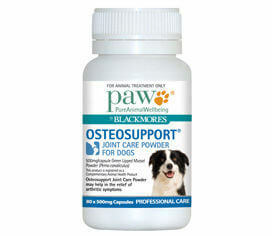 - Low cost daily dose starting from only 50 cents for small dogs. (see research section).